After only entering the music industry two years ago, Sequence has a lot to show for it in growth, both musically and in knowledge of music as a business. As the newest member of Properly Puffin’ Productions, he has shown extremely wise methods in starting out, learning early to rely on himself, Sequence purchased his own music equipment with a humble sum and learned to be a songwriter, rapper, producer, sound engineer and designer, all while cutting out the middle man. With drive and a self-starting ability, you may think his newest album is all business, but it is anything but. 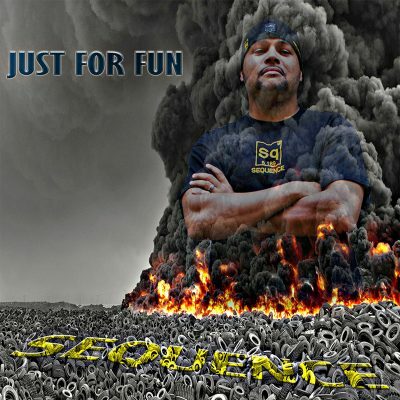 Just For Fun is a rap album that has the fun, party vibe that embodied rap in the mid-2000s. It’s full of songs that are fun to have a few drinks to as they don’t garner any deep meaning in them. Unlike much rap and hip-hop today, Sequence doesn’t seem to want you to dig deep into your soul to relate with his music—he just wants you to hear it and have a good time. The track “Dance Close” is a great embodiment of the feel of this album: It features multiple references to songs and rappers from the ’00s era and has an excellent mix of rap beats with a bump-and-grind kind of feel. I can’t fully review this album, though, without mentioning my favorite track, “Drunk Checklist.” This track is produced perfectly and doesn’t take itself too seriously, and it also gives a perfect bit of advice, which is checking your drunk checklist: your keys, phone and wallet, items I am sure all of us have lost at one point or another while out drinking.